LBD & ONESIES - A Lifestyle Blog: Pink Parlour's Valentine Blowout! Pink Parlour wants to share their love this coming Valentines day with an exciting PINK PARLOUR BLOWOUT! 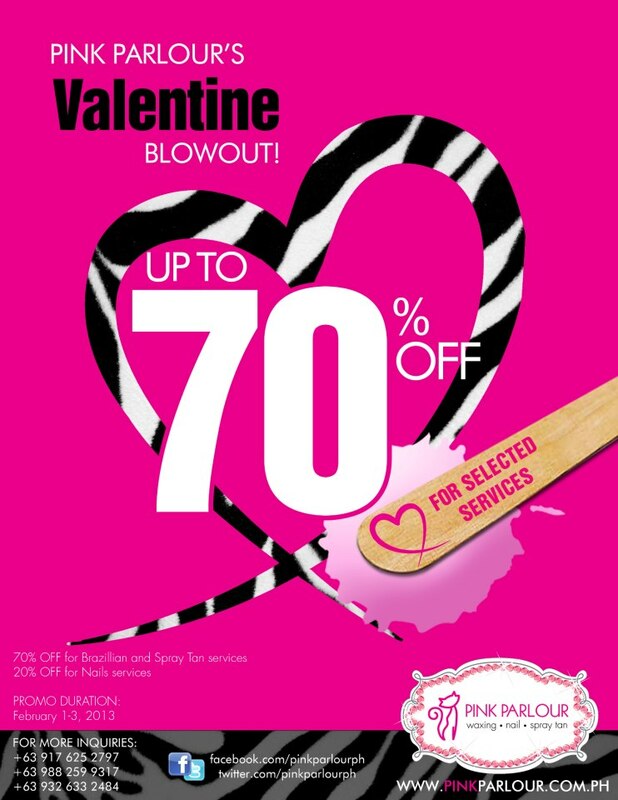 You may get up to 70% OFF on selected services from FEBRUARY 1 to 3 only. One of the services that is included in this promo is their raved Brazilian waxing treatment. (See my review of their Brazilian waxing HERE) This promo is valid at their SM North Edsa Branch only!